Codex Gamicus:Wikipedia - Codex Gamicus - Humanity's collective gaming knowledge at your fingertips. Wikipedia is a free, online, encyclopedia that anyone can edit. This very site you're using, the Codex Gamicus? It runs off of the free engine that Wikipedia distributes. That's why you and I can edit this stuff and add our information. 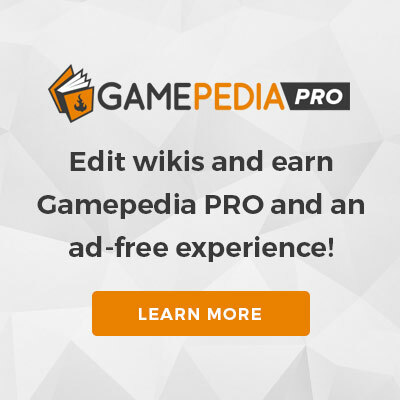 We're like an offshoot of Wikipedia, but specifically for games and video fanes; Wikipedia itself is a huge source of information on the internet that is available in many languages. A common criticism of Codex Gamicus is that people might as well use Wikipedia. While true, there are benefits to Codex Gamicus and differences between the two. Codex Gamicus is game-focused. When you type Frog into Wikipedia, you will not get the Chrono Trigger character right away. When you search for Rupee you will not get the Zelda currency. While Codex Gamicus may be incomplete at this point in time, it is a great place to go if you want to write about your favorite games. As an extension of the first point, Wikipedia has more of a focus on the game as a product in the real world. It discourages writing in an in-universe style, trivia, discussion of plot and gameplay is encouraged to be brief and ultimately, should be accessible and interesting to those who are not gamers. These stances are motivated by Wikimedia's project goal of being an educational resource. Codex Gamicus is different, as we aim to serve gamers and not the layman. We welcome in-universe discussion of the game, including discussion of its lore and plot, gameplay elements, and so forth. We have a relaxed view on notability. As a result, if a game has a Wikipedia page, it is certainly notable for us. We accept entries on virtually any game released on a mainstream platform. Discussion on what exactly is and is not acceptable is an open matter. While Wikipedia requires coverage by numerous secondary sources, Codex Gamicus accepts information from primary sources, such as store pages and developer/publisher websites. Template:Wikipedia - Used for referencing Codex Gamicus articles with content from Wikipedia. This page was last edited on 10 December 2018, at 18:54.